We offer year round value for money tailored holidays and we want to share all that the Pyrenees have to offer with you. Prices are per person for 7 nights accommodation based on two people sharing one of our spacious en suite rooms. Rates are from 300€ to 625€. Please contact us for weekend breaks, shorter stay rates and whole chalet rentals. For availability please see our Calendar Below. Winter: Lifts to (up to 10:30) and from the slopes (after 16:30) for 5 days of your stay to Superbagnères, other resorts by arrangement and group consent. Summer: Transfers are included as part of your guided hiking or multi activity holiday and can be organised at extra charge for accommodation only stays. Filling breakfast to fuel your mountain adventure throughout your stay. A freshly baked afternoon treat to welcome you back to the chalet everyday. A three course gourmet meal for 6 nights of your stay - for one night of the week we encourage you to try one of the excellent restaurants here in Luchon. A local cheeseboard on two nights of your holiday with us. Access to our 'Honesty Bar'. Personalised recommendations to make your holiday a little more bespoke. To keep your toes toastie we provide slippers for you to use whilst in the chalet. If you want to keep in touch with the world we have free Wi-fi throughout the chalet. From the time between booking and your arrival we will be available to assist with any queries, meaning that there is nothing to do but enjoy your holiday when you arrive. Simply complete the enquiry form below and we’ll get back to you within 24 hours. Once you have decided on your holiday with The Free Range Chalet we will send you a booking questionnaire for you to complete and return to us along with a €150 deposit per person to secure your reservation. The balance of the payment is due 8 weeks before your holiday. 48 Hours before you arrive we will contact you with weather forecasts and current conditions. If you have arranged your transfer with us we will give details of where you will be picked up. 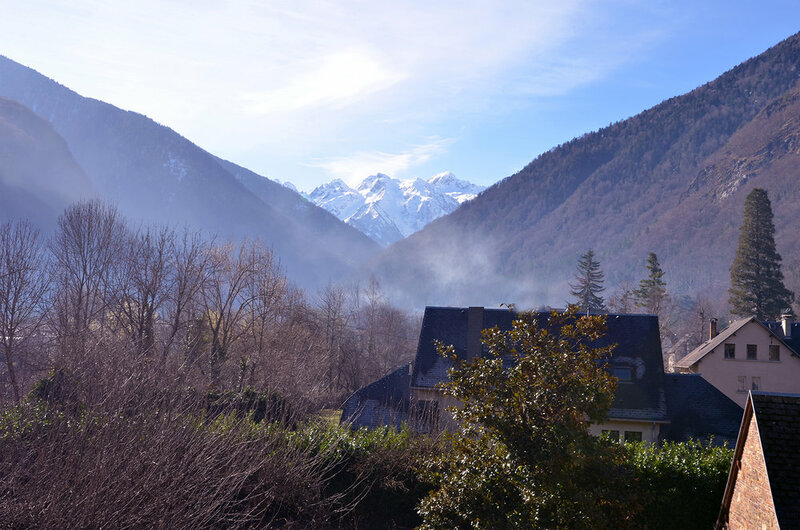 On arrival at Villa Gracieuse you will be welcomed by us and shown around the chalet and to your rooms. If you arrive early on the changeover day we can recommend activities so that you can make the most of your holiday. On the evening of your first day we will have a bit of fizz before dinner and a welcome chat where you will be able to ask any questions. Three adults sharing a room 15% discount for all three. Single travellers are charged full adult price plus up to 40%, contact us for details. There may be opportunity to share one of our spacious rooms with other solo travellers. * when eating the two course childrens early meal.